Writer Beware®: The Blog: Law Firm Investigates Author Solutions Inc.
Law Firm Investigates Author Solutions Inc.
UPDATE: The lawsuits that resulted from this investigation were dismissed in August and September of 2015. 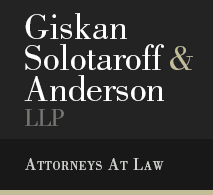 The New York law firm of Giskan Solotaroff Anderson & Stewart LLP has opened an investigation of Author Solutions Inc. (ASI), alleging deceptive practices. Authors using Author Solutions have complained of deceptive practices, including enticing authors to purchase promotional services that are not provided or are worthless, failing to pay royalties, and spamming authors and publishing blogs/sites with promotional material. They're calling for contact from authors who believe they've been the victims of these and/or other deceptive practices. The contact form is here. A Partridge in a Penguin Tree (ASI expands into India). Archway Publishing: Simon & Schuster Adds a Self-Publishing Division (outsourced to ASI, and it's eye-poppingly expensive). Democratization or Disinformation? (ASI's misleading "white paper" on independent" publishing). Writer and editor Emily Suess is a relentless critic of ASI, and has exposed many of its business practices and collected many complaints from unhappy authors who've used its services. Mick Rooney of The Independent Publishing Magazine has a long piece on the Giskan Solotaroff investigation and related matters. Author and blogger David Gaughran deconstructs the ASI empire. The only issue here is the long, ugly history of law firms taking on these kinds of suits because they get a huge cut of the settlement while the people they are supposedly suing for get a token payment. Worse, these settlements don't stop the offending party from offending. A good example was the suit against the Atkins people in the late 1990s for marketing supposedly "low carb" bars that were actually full of carbohydrate due to sleazy labeling. The firm got a bunch of money, the people who bought the bars got a refund--if they still had proof of purchase of the bars from 5 years earlier. And Atkins is still selling bars that use deceptive labeling to hide the fact they are full of substances that metabolize into carbohydrate. So don't break out the champagne just yet. . .
Archway and Authors Solutions were at the San Francisco Writers Conference and I got a very bad vibe from them and the people representing them. I steered clear when they tried to sell me. You've probably already seen this post about S&S pushing their new Archway (ASI) affiliate program at bloggers, too, then? I would like to know if the suits are still going on? I've had issues with this same publishing company. Everything done they want you to pay for. They suppose to help and promote you and our book to help you make money, so they will be paid, but every since I've been with them, they keep asking me (the author) for money. Then tel you after being with them for over x3-4 yrs, you have to pay to buy the rights back for your book. the contract been expired, I should be able to get my rights back anyway. A couple promoted items I did pay for, never saw it appear anywhere. Karen, both class action lawsuits against Author Solutions have been settled. See my update. All of the Author Solutions contracts I've seen have allowed authors to terminate at will, without having to pay anything to get their rights back. If that's no longer the case, it would be a major change, and if so I want to know. Could you please email me? beware [at] sfwa.org. Thank you.